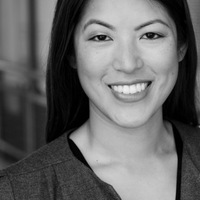 Belinda Fu, MD ("theImprovDoc") is a Clinical Assistant Professor in the Department of Family Medicine at the University of Washington, Faculty at the Swedish Family Medicine First Hill Residency Program, and Founder of The Mayutica Institute, an educational training company. Dr. Fu is a professional actor, and a Theatresports™ ensemble member and improv instructor at Seattle’s Unexpected Productions. She received her BA at Stanford University, her MD from the University of California at San Francisco, and completed her residency, chief residency, and faculty development fellowship at the University of Washington. She co-organized the first Annual International Medical Improv Trainer Workshops, and established ImprovDoc.org, an educational resource about the use of improvisation in medicine. Belinda has been recognized for her outstanding keynote presentations, curricular development, workshops, and courses on innovative approaches to medical education, physician wellness, physician/patient communication, teambuilding, and medical improv. Belinda's unique career is featured in a spotlight article about meaningful jobs (Payscale.com). Medical Improv is the adaptation of improvisational theater methods to the context of medicine, in order to promote collaborative patient care through improved communication, cognition, and wellbeing. Belinda is a pioneer in the field of medical improv, in which the principles and training techniques of improvisational theatre are used to improve communication, cognition, and wellbeing in the field of medicine. She is moving the field forward with conceptual and curricular innovations in areas such as empathy training, physician wellness, patient motivation, and interdisciplinary teambuilding. She created the website ImprovDoc.org to share educational resources for the medical improv community. She collaborates with Professor Katie Watson, JD, of Northwestern Feinberg School of Medicine and Second City Improv, to establish the highest standards of academic integrity and creative innovation. Belinda co-organized the first Annual International Medical Improv Train-the-Trainer Workshop in 2012, and has co-instructed the workshop since 2014. Her medical improv workshop at the 2016 American Academy of Pediatrics National Conference was featured in an article by Carla Kemp, Senior Editor of the AAP News. She has presented keynotes, workshops, and seminars across the United States and Canada, for institutions including the Cleveland Clinic, American Academy of Pediatrics, American Association of Medical Colleges, National Society of Genetic Counselors, California Academy of Family Physicians, Washington Academy of Family Physicians, Group Health Cooperative, and the University of British Columbia. Fu B. Common Ground: Frameworks for Teaching Improvisational Ability in Medical Education. Teach Learn Med. https://doi.org/10.1080/10401334.2018.1537880. An overview of the curricular elements of medical improv, including the "Triple A" model of medical improv skills, and a discussion of its application to core competencies and milestones. Watson K, Fu B. "Medical Improv: A Novel Approach to Teaching Communication and Professionalism Skills." Ann Intern Med. [Epub ahead of print 26 July 2016]. A description of the unique role that Medical Improv plays in medical education. Sawyer T, Fu B, Gray M, Umoren R. "Medical Improvisation Training to Enhance the Antenatal Counseling Skills of Neonatologists and Neonatal Fellows: A Pilot Study," J of Mat-Fet & Neonat Med [Epub ahead of print 2 Sep 2016]. Learners participated in a medical improv workshop, then self-assessed their skill development immediately thereafter and at 3-month follow-up. As a family physician at Swedish Medical Center in Seattle, Washington, Belinda sees patients of all ages, caring for children and families, taking care of adults with acute and chronic medical conditions, and seeing patients in the hospital. As a residency program faculty member, she teaches new physicians as they develop their specialty-specific skills in family medicine. Belinda writes about her experiences as a clinician and her reflections on healthcare in America. Her essay, "Sometimes patients need more than a medical home," was published on kevinmd.com. Belinda flourishes as an improviser, actor, master of ceremonies, dancer, and musician. As an improviser, she has been an active company member of Seattle Theatresports™ / Unexpected Productions since 2009. She is an ensemble member of long-form improv groups "The Lost Folio" and "A Tribe Called Yes," and has appeared in multiple other shows with Jet City Improv, including "This Improvised Life," "OBJECTION!" and "LoveTanic". She is also a former member of the EDGE, Bainbridge Island's resident improv group. Belinda has been seen and heard in local commercials, print ads, and industrial work, and has studied acting and solo performance at Freehold Theatre. She has studied and performed voice, classical piano, hip hop and lindy hop swing dancing, and has received awards for her outstanding writing. Belinda was nominated for Best Actress at the Austin Micro Short Film Festival in 2018, for her work in the film "Phomily Feud", which has been featured at independent film festivals across the United States. Unexpected Productions -- Theatresports and more! "The information you so passionately teach has the capacity to greatly improve medical care and our lives in general. Thanks for sharing." Belinda's passion for teaching lies in using her performance talents to inspire her learners to deeper understanding and personalization of the material. She firmly believes that medicine and teaching are fun, and that better communication leads to better health. Belinda cultivated her teaching talents as a Lecturer at Stanford University in the undergraduate Program in Human Biology, and the Department of Pharmacology in the School of Medicine. Since 2007, she has been clinical faculty at the University of Washington School of Medicine, teaching medical students and residents in the classroom, clinic, and hospital wards. Belinda is an active member of the Society of Teachers in Family Medicine (STFM), regularly developing curricular innovations to improve medical education. Her current areas of pedagogic expertise are in clinical precepting, feedback, delivering dynamic presentations, and medical improv. Belinda is in frequent demand as a speaker and trainer for national and regional conferences, organizations, and institutions, where she presents a number of different topics. Her talk, "Improv and the Art of Medicine: Adaptable skills for an uncertain world", is frequently requested at wellness and resilience conferences. Her presentation, "Great Precepting: Three essential tools for outstanding teaching moments" was recognized as one of the top three presentations at the STFM Annual Spring Conference in 2011, and is a cornerstone of the annual University of Washington Family Medicine Faculty Development Fellowship and Chief Resident training. "She gave the very best plenary of this entire conference - what a inspiring woman!" "Excellent speaker with real powerful testimony that impacted me." "Extremely dynamic speaker. Able to captivate the audience and keep our attention." altering to those that hear your story." "Best session of the conference"
"Dr. Fu is an amazing speaker! Her vulnerability is refreshing and her stories are relatable." "Great energy, honesty and authenticity in her demeanor and obvious passion for her work. Very inspired!" "This was a GREAT session. Great blend of fun & humor with very useful (not overwhelming) practical tools. THANK YOU!"